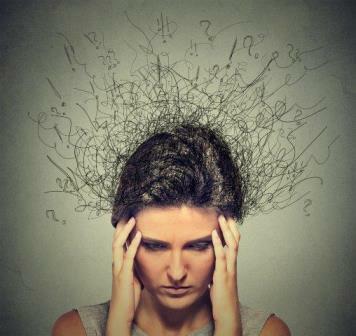 Everyone experiences anxiety to some degree - but individuals who suffer from severe anxiety have excessive and unrealistic feelings of dread, apprehension and impending disaster that interfere with their normal everyday lives and relationships. By learning how to master anxiety we can stop the interference. Understanding how anxiety manifests itself is important because it enables us to identify the warning signs and take proactive action. In their excellent book “How to Master Anxiety – All You Need To Know To Overcome Stress, Panic Attacks, Phobias, Trauma, Obsessions and More” authors Joe Griffin and Ivan Tyrell describe the various ways in which anxiety can manifest itself. when you wake in the morning and open your eyes, a vague, unidentifiable feeling of fear or anxiety envelops you. You go through your day with that unidentifiable sense of impending disaster. your anxiety is less intrusive than that. You look perfectly normal, behave perfectly normally, get on with your life apparently normally. And yet you don't feel fulfilled or truly happy or fully in the heart of things. A lot of the time you feel panicky or nervous. You can't relax or settle down to things. "What if?" and "shouldn't I?" questions run through your mind most of the time ( although you might not be aware of this). The disabling anxiety is almost always there, on your shoulder, weighing you down. At night, it stops you getting off to sleep and, if you wake in the early hours, it kicks in at once, preventing you from dropping back to sleep again quickly. suddenly, for no reason you can fathom, your heart starts to pound; you are sweating and shaking; struggling to take in enough breath, you feel that you are choking; your stomach drops to the ground and you have the terrible feeling that you are going to lose control of your bladder and your bowels. You are in the midst of a panic attack. With each occurrence you feel more hopeless and helpless. You start to avoid places where there might be a risk of experiencing a panic and gradually your world starts to shrink as you avoid more and more places. There are very many different ways that severe anxiety can affect people, these are just a few examples, but there is one impact that is common to all. Like a tyrant, severe anxiety stops people from enjoying a normal, happy and fulfilling life. Anxiety is not something we have it’s something we do. The physiological, psychological, and emotional state of being anxious is an outcome of our mind/body system completing the STRESS process. The STRESS process is part of our natural, innate survival system. Accepting the fact that anxiety is not something we have - it is not an “it,” “thing” disease, or illness – rather it is something we ‘do,’ is one of the keys to mastering severe anxiety. Why? Because it puts us back in the driving seat. If we are the ones ‘doing’ our anxiety then with the right help, tools and techniques we can change the way we run our STRESS process, and thereby reduce the risk of experiencing severe anxiety and/or regain control over the anxiety we are currently experiencing. learning to make the best use of our existing resources (internal and external) particularly our imagination. Misuse of our imagination is usually at the root of anxiety. We can use the positive power of our imagination to manage our thoughts and feelings and change our experience of anxiety. Identifying and changing our thinking habits. For example changing negatively focused “What if?’ thoughts to positively focused “What if” thoughts. These tools and techniques once learned, become skills for life that enable us to master anxiety. If worry, anxiety or stress are causing ongoing problems in your life, give me a call me on 021 056 8389, or email tony@tycoaching and let's explore how I can help you develop the life skills that will enable you to master your anxiety. REMEMBER - "When you change your mind you change your life." Tony helps individuals to harness the power of their mind to achieve success and well-being in life, work and business. Tony's particular area of expertise lies in helping people to 'change their minds' so they gain freedom from worry, anxiety and stress, overcome limiting beliefs and unhelpful habits. Tony’s solution focused approach to coaching uses a range of techniques drawn from the fields of solution focused coaching, neuroscience, positive psychology and clinical hypnosis. ... in respect to a whole range of future events, real or imagined. If we perceive that the answer to this question represents a threat to our physical and/or emotional well-being, our Stress Response is activated and we experience some degree of stress or anxiety. With normal worry we feel that the problem or concern is controllable and can be dealt with at a later time. Normal worry causes us to experience low to moderate anxiety but does not produce symptoms (i.e. 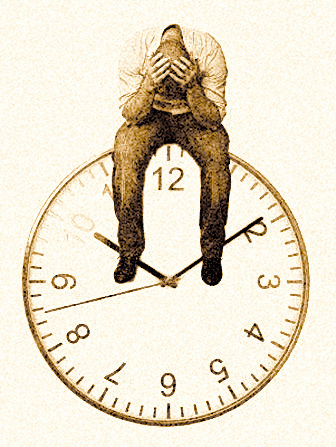 anxiety) that negatively interferes with our daily functioning. In fact low to moderate anxiety is healthy and useful, because it improves our attention and problem-solving abilities, motivates us to work harder toward a goal, or warns us about a potential threat to our physical and/or emotional well-being, so we are able to deal with the threat if it occurs. For example, anxiety about an upcoming exam will likely drive a person to prepare fully, and the anxiety a tramper might experience about encountering bad weather, allows him or her to develop a contingency plan should they be caught in a sudden storm. These examples demonstrate how normal levels of worry and anxiety are helpful to us in our everyday life. Normal worry tends to be finite – we worry about a particular situation for a limited amount of time, rather than spending our entire day worrying or obsessing over one problem, unlike ..... . The individual engaged in problematic worry spends much of their time worrying, while side-lining everything else. Their worrying feels outside of their control and pervasive. This significantly interferes with their work, personal and social activities. They may feel they are worrying for no reason and may worry about a broad range of topics, like job performance, money, personal safety or the safety of others, etc. The content of their worries may be distressing and an individual may experience moderate to high levels of anxiety. In short, problematic worry and the anxiety related to it, adversely impacts on the individual’s mental and physical performance and, becomes a barrier to their enjoyment of life. Do you spend time worrying? • 8% of your worries relate to important issues where you have legitimate cause for concern. There are so many things that we can worry about. The good news is that no matter how necessary or realistic the worry is, we have the power to control it. One way is by using the following process - The TOP Principle to categorise your worries. Write down three of your most common worries. Now that you have categorised each of your worries, you can make action plans and problem solve, to turn the worries that are totally within your control into positive change. Just make sure the action plan is realistic enough for you to stick to. Worry: I'm becoming unhealthy and my clothes are starting to feel tight. If the worry is "out of your control", then you have to let it go. I know that it's easy to say "let it go" but, we only have a finite amount of time and energy. By letting go of the things that are 'Outside of our control', we can refocus our energies towards the things that we do have an influence over. So, the next time you are spending time worrying about something, if it is outside of your control, tell yourself there is nothing you can do and move on. It may be difficult to start with, but will become easier with a little practice. If worry, anxiety or stress are causing ongoing problems in your life, give me a call me on 021 056 8389 or email tony@tycoaching.nz and let's explore how I can help you.